For many fashion girls, the post-Christmas blues are quickly softened by the arrival of Zara's annual winter sale that commences on December 26 each year. There are literally thousands of stylish pieces to choose from, all of which are more wallet-friendly than ever. Specifically, we're adding a few pairs of shoes to our carts first, because as you know, Zara's collection of shoes is filled with affordable gems. The only downside about the sale is that the vast inventory is overwhelming (to say the least) and you can't buy everything. To help you out (so that you can get back to spending quality time with family and friends this holiday season), we scoured the inventory for you and chose 11 pairs of cool shoes that you'll want to wear over and over. Included in the mix are ankle boots, flats, kitten heels, and more. And at these prices, you could easily buy them all without breaking the bank. Keep scrolling to shop our picks from Zara's mind-blowing sale! 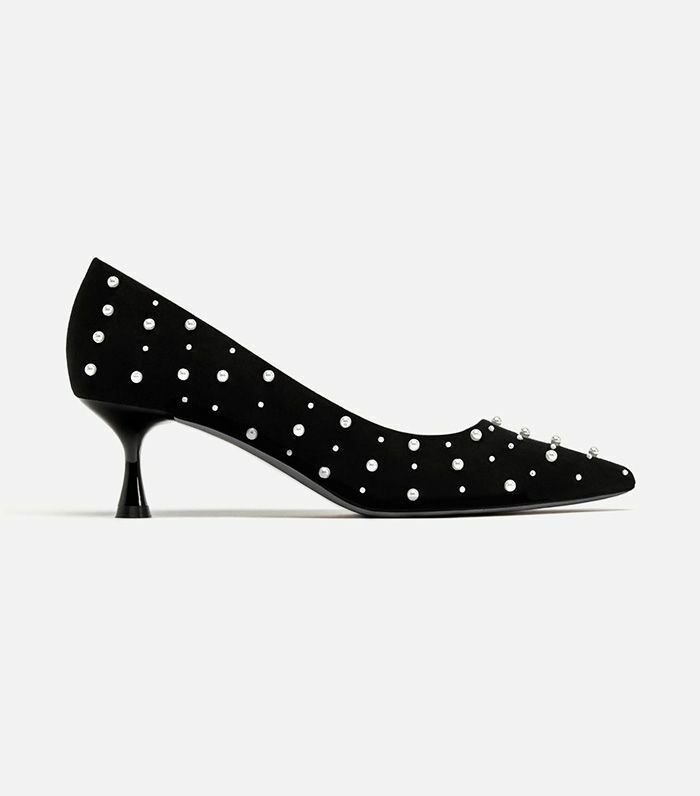 Pearls make basic pumps so much more elegant. The red-boot trend is still going strong. Perfect for New Year's Eve and beyond. The combination of satin, velvet, and faux fur make for a chic pair of flats. We can't believe these cool combat boots are half price. You'll be tempted to wear these every single day. The perfect pop of color to cure the winter blues. Wear these elegant boots with a miniskirt or LBD. Pair these with black tights until spring arrives. Meet your new favorite special-occasion shoes. These adorable dotted ballerina flats look perfect with skinny jeans. Next up, see our picks of the best on-sale items from Zara's men section.